The metaball's position and velocity is update at every time step. The position is maintained within the boundary by calculating the distance to the boundaries and updating the velocity according to this value. Shaders: The lava is shaded with GLSL matcap shader, using a lit sphere texture. The idea behind this shader uses environment mapping. The lava lamp has a emissive lambert shader (THREE.js). The color is smoothed with a procedural cosine color mapping. I modeled the lamp in Autodesk Maya. 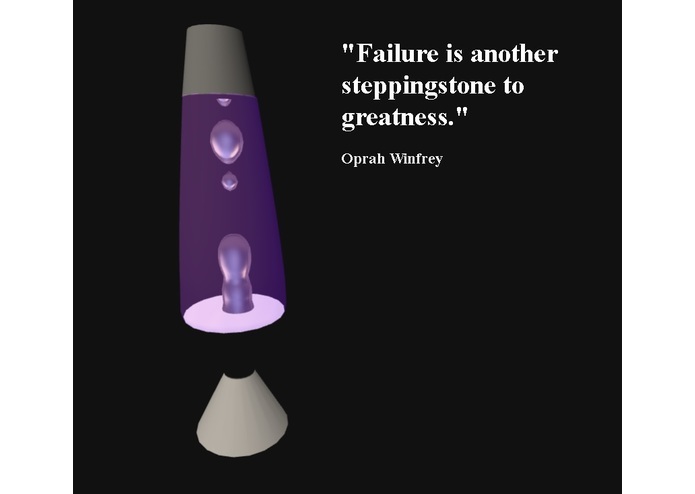 Since watching the lava lamp and metaballs move is so soothing, I decided to create a website with inspiration quotes (A new one each time the web page loads).